Not everywhere in Spain is warm in winter. Contrary to popular belief, some places are actually cold during the winter months. Having said that, there are several places where you can go in Spain for some winter sun and warm weather. Some destinations are quite obvious , while others might surprise you. Here are some suggestions on where to go to chill out, but where you won't be chilly. Winter in the Canary Islands are extremely mild. During the coldest month on the coldest island, temperatures don’t get much lower than 20℃, which for some Northern European countries is considered summer weather. Atlantic depressions do often cause increased rainfall and occasional storms across the whole archipelago, but especially on the northern islands which are exposed to the northeast trade winds. Having said that, all the Canary Islands offer a general all round tropical climate. 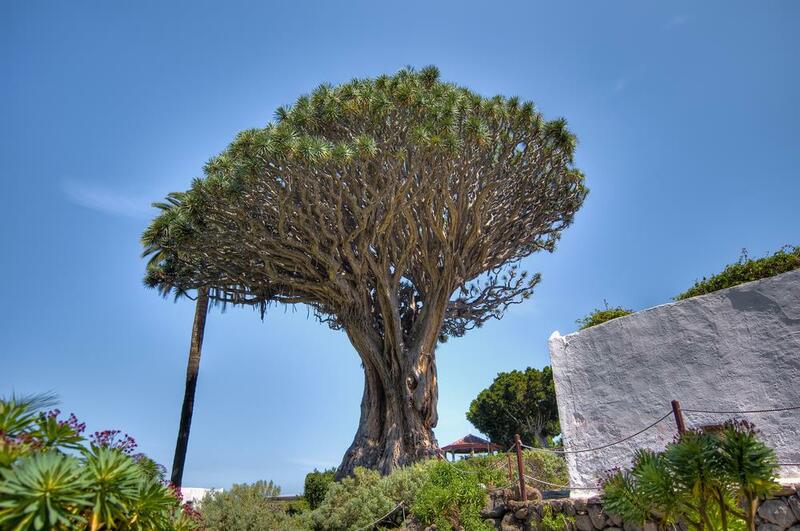 The heat plus the rain have creating the perfect habit for countless exotic plants and animals such as dragon trees and giant lizards. The northern coasts of each island tend to have higher level of rainfall, so if you’re looking to avoid the wet weather then head for the southern coasts. Out of all the Canary Islands, Tenerife’s southern part is the hottest and driest in the winter months, the northern part of the island will be considerably colder, foggier and wetter. The southern part of Gran Canaria has a similar climate to the south of Tenerife, so is another ideal location is you are looking for a warm, sunny holiday winter. Check out our selection of holiday homes in the south of Tenerife and holiday villas in Gran Canaria. Lanzarote and Fuerteventura also both have great winter climates for a sun holiday but both are susceptible to high winds and showers throughout the day. Almeria is a province famed for its lack of rainfall and warm winter weather. For those travelling from traditionally cooler winter locations, the warmth that hits them when they step out in Almeria each winter is the first pleasing part of a holiday in this unique area. 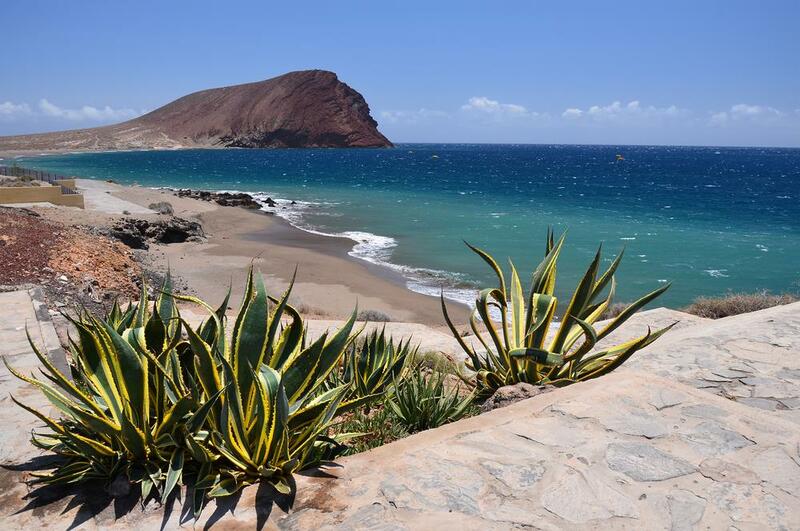 There are plenty of great places to rent in Almeria and some, such as Agua Amarga, have been used in famous films. The quiet little location of Agua Amarga is much warmer than some neighbouring provinces and yet, you also have the sea and the beaches to enjoy. Agua Amarga is small enough to walk around and much of the spectacular countryside of the Cabo de Gata National Park is on the doorstep. 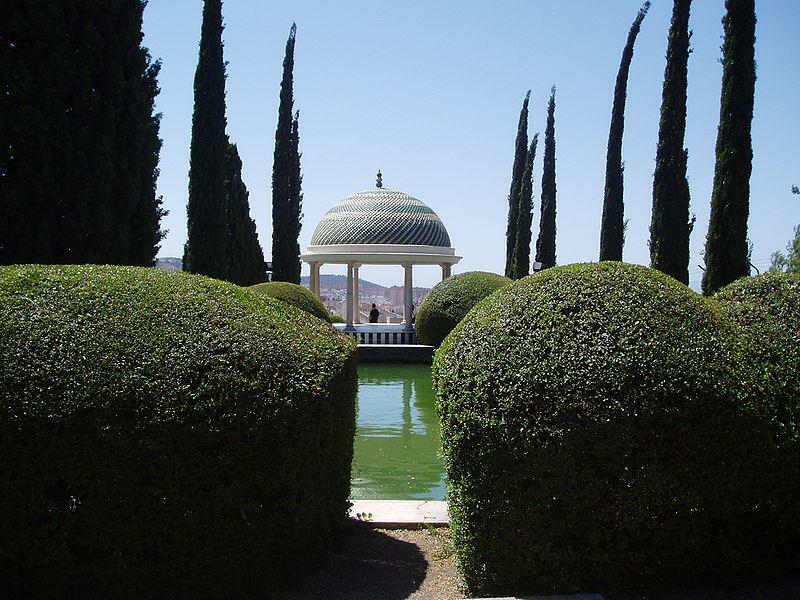 Do take a drive from your rented Almeria accommodation to the park - it’s worth the drive. There are plenty of small beaches to savour and some amazing sights to photograph. But what makes this warm winter location special is how peaceful it is. What more could you wish for in the depths of winter? Warmth, sunshine, peace and quiet, superb properties to rent and spectacular views. 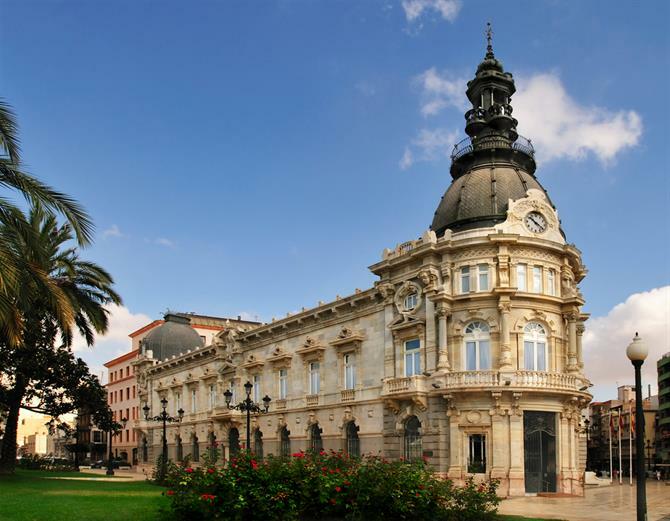 If you want more life around you but still wish to avoid the cold, then why not head for Murcia. The splendid and busy city itself, or the coastal resorts of this province are significantly warmer than some others during the winter months. 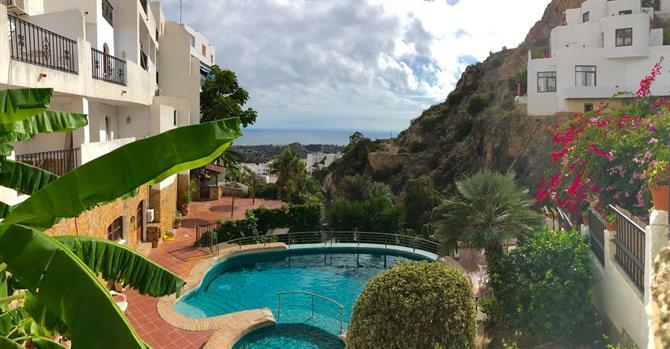 Perhaps you'd like to rent a property in the popular seaside resort of Puerto de Mazzaron, or the smaller but just as warm and welcoming Aguilas. Both resorts have something for all the family and if you go out of season, you'll have much of the beach to yourself. The city of Murcia itself is too often overlooked by those going on a holiday to Spain, it's a magnificent city and it's worth taking your time to see it in all its glory. One coastline in Spain known for its warm winter weather is the Costa Tropical. 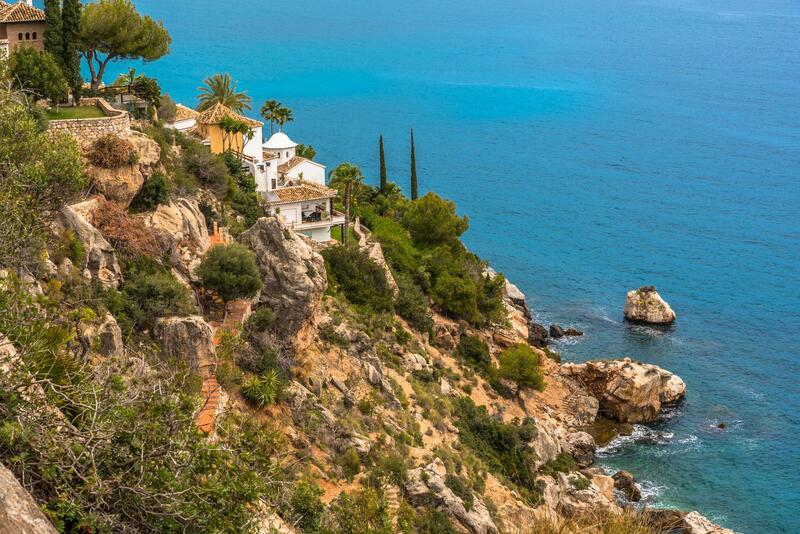 This stretch of coastline is located in the province of Granada. While the city of Granada, less than an hour away, can be cold in the winter months, the Costa Tropical is not. 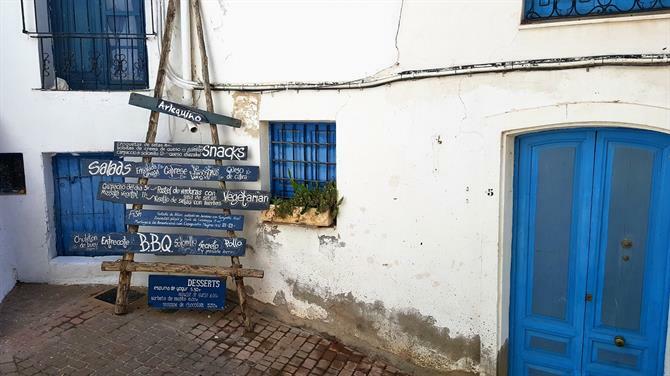 Locations such as Salobreña and Almuñécar are marvellous towns to visit or to use as your holiday base out of high season. You will be pleasantly surprised by just how many days here are truly warm. Even, on some days, hot. From La Herradura in the west, to the small city of Motril in the east; this is a coastline that lives up to its name. It's not often you can feel tropical in Europe between December and March, but you can here. Have a look through our selection of Costa Tropical holiday homes and choose your favourite area. 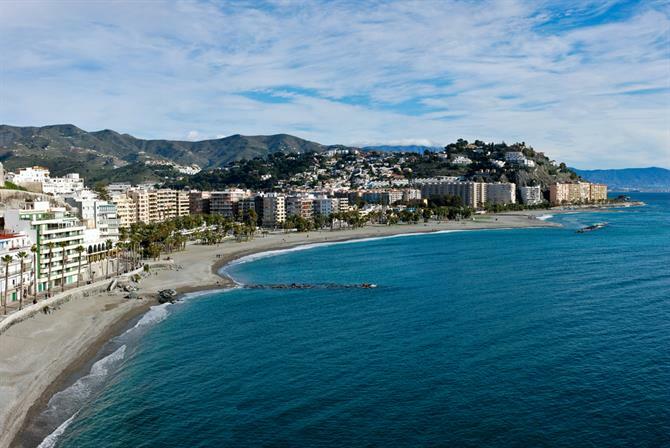 Malaga is one of the warmest places in the south of Spain during the winter months. An average of 17℃ during January means that it’s by no means beach weather but daytimes will be sunny and warm. Malaga is a beautiful city with a lot on offer to enjoy in the winter months including museums, art galleries, historical monuments and a botanical garden filled with tropical plants species from all over the world. The Finca de la Concepción Botanical Garden is located just outside the city to the north, past Ciudad Jardin. 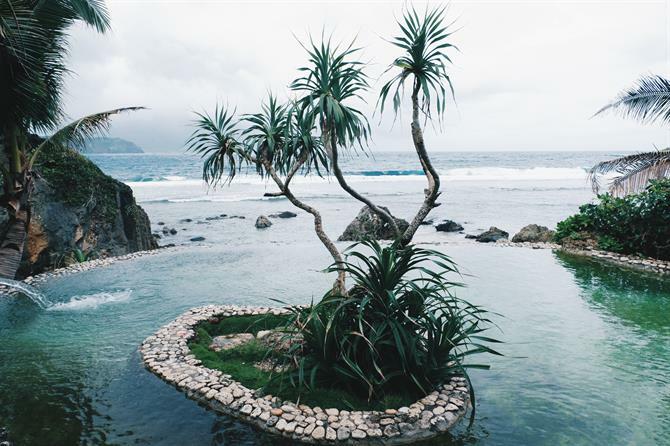 You’ll be pleasantly surprised to discover this tropical paradise in such an unexpected spot. In total, the garden is home to over eight hundred tropical and subtropical species of plants.The palm tree, a plant we all associate with warmer climes, is itself represented with over one hundred varieties. These plants wouldn’t flourish here if it weren’t for the all year round tropical climate in Malaga. The city boasts a microclimate as a result of the mountain range which surrounds it, making even the winters there extremely mild. There are of course, hundreds of superb holiday homes to rent throughout the province of Malaga and along the ever popular Costa del Sol. If it’s a bit cold on the beach or round the pool head out to explore the area where you’re staying. City breaks in Spain during the winter are a great option for a sunny holiday during the cold months. Finding some winter warmth in Spain is really not difficult at all!